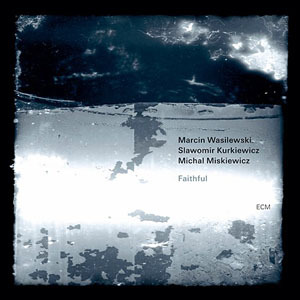 Jazz news: Marcin Wasilewski Trio "Faithful"
Polish pianist Marcin Wasilewski and his trio, featuring bassist Slawomir Kurkiewicz and drummer Michal Miskiewicz, continue to impress and astound, but never more so than on the group's newest ECM disc Faithful, a most remarkable feat of collective creativity and improvised music. After waxing some of Polish trumpeter Tomasz Stanko's more memorable recent outings (2002's notable Soul of Things, 2004's Suspended Night and 2006's splendid Lontano), the triominus drummer Miskiewiczmade drummer/percussionist Manu Katché's ECM discs (2005's Neighbourhood and 2007's Playground) the strikingly lovely outings they turned out to be. 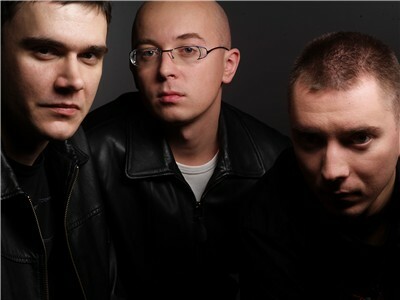 The Marcin Wasilewski Trio began life back in the early 1990s as the Simple Acoustic Trio (S.A.T. ), when all three were still in high school. Wasilewski (b. 1975), Kurkiewicz (b. 1975) and Miskiewicz (b. 1977) made their performing debut in 1991. The group started winning all sorts of awards and issued its first recording, Komeda (later retitled Lullaby for Rosemary's), in 1995, inspired by a successful live performance dedicated to the great Polish composer Krzysztof Komeda, best known now for his soundtracks to early Roman Polanski films. S.A.T. issued several more recordings in Poland, including When Will The Blues Leave (Polonia, 1995), Live in Getxo (Hillargi, 1996), Habanera (Not Two, 1999) and Lyrics (2001), with Polish saxophonist Henryk Miskiewicz, S.A.T. drummer Michal's father. After the trio's internationally renowned success recording and touring with Tomasz Stanko, the German ECM label issued Trio in 2005. By the time the trio issued its second ECM disc, January in 2008, it had officially become known as the Marcin Wasilewski Trio, deferring to the traditional leadership role placed by so many on the pianist in a jazz piano trio. For its latest endeavor, the Wasilewski Trio has made one of its most significant statements thus far. It's a tribute to this band's longevity and familial fortitude. Each knows where the other is going and each leads and follows in equal measure. It is one of the more musical piano trios currently operating, serving up a bevy of interesting originals and unusual covers, in a style that is all its own. Quite simply Faithful is one of the loveliest and most stirring piano-trio recordings I've heard in some time. Things often get as dazzling as all the hype suggests, but never more so than on the rhythmically-charged and dynamically intoxicating Night Train to You," suggesting not only the crossroads of the Oscar Peterson and Keith Jarrett trios but also the emotive motivation and the moody sensibilities that is something of a calling card for this trio. Indeed, I've never heard this group spring to life the way they do on the pianist's terrific original while still maintaining the reflective undercurrent of hope and melancholy they blend together so well. The mix of time signatures and musical styles is made with such ease as to be effortless, proving this band is a communicative force to be reckoned with. The trio accord commendably to their accommodations, in something that sounds very much like a signature style, on other such Wasilewski originals as the long and lovely Mosaic" (a terrific showcase for all three trio members, especially Kurkiewicz), the elegantly ruminative Song for Świrek" (another of the disc's highlights), the lusciously contemplative Woke Up in the Desert" and the soulfully picturesque Lugano Lake," undoubtedly a reflection of the area where Faithful was recorded. The group also covers the beautiful and fascinating Faithful," a surprisingly little-known ballad from Ornette Coleman's 1967 Blue Note album The Empty Foxhole. It's a sumptuous performance that one of Paul Bley's trios might have thought of at some point but didn't. Wasilewski does, however, cover Bley's own Big Foot," a tune the composer included on his first ECM record (the third disc in the company's history) and has recorded on several other ECM discs for some reason as Fig Foot." 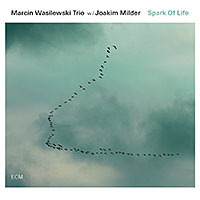 Here Wasilewski only hints at Bley's melody, allowing the jagged-edge funk of the melody to be an inventive springboard for the trio's creative compatibility and energizing fusion of melodic ideas. 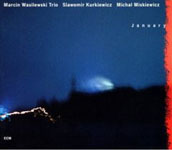 The Wasilewski trio also reflects upon The Ballad of the Sad Young Men," which has been surprisingly avoided by most piano trios (although the Jarrett trio is heard performing the song on its 1990 ECM disc Tribute), Brazilian composer/percussionist Hermeto Pascoal's Oz Guizos (The Bells)" (brought to the session by bassist Slawomir Kurkiewicz, a fan of Brazilian music, and originally heard on the composer's 1971 American album Hermeto), and the uber-theatrical An den kleinen Radioapparat," turning it into something warm and romantic that would make any Bill Evans fan coo with joy. Faithful is, by definition, being true to one's word. Nothing could describe this trio's musical mission better. Faithful certainly restores my faith in the jazz piano trio. 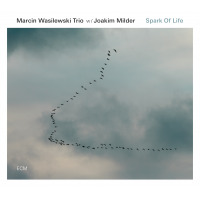 Marcin Wasilewski, Slawomir Kurkiewicz and Michal Miskiewicz have a synergy that is fresh and contagious, occasionally brushing past touch points of the familiar on the way to something new. 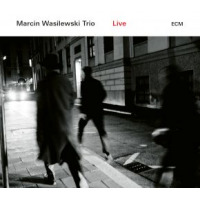 The Marcin Wasilewski Trio represents a breathtaking fusion that Faithful makes worth hearing and exploring time and again. This story appears courtesy of Sound Insights by Doug Payne.